Cynthia joined Markforged in 2016 to lead marketing for this fast-growing Massachusetts-based 3D printer company that is disrupting manufacturing through strong carbon fiber and metal printing. Cynthia previously served as VP of Marketing Technology at CA Technologies as well as the demand gen analytics and new account targeting organizations. 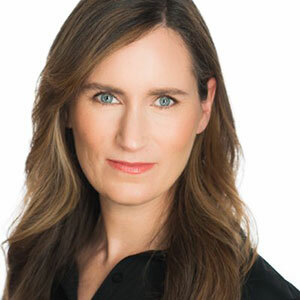 Over the past 18 years, Cynthia has overseen demand generation, product marketing and sales enablement functions, as well as led Martech stacks at Fortune 500 companies such as Dell, startups and nonprofits. Cynthia built the global lead generation engine for Dell, overseeing a massive automation, lead management, and analytics platforms that supported 4,000 marketers and almost 19,000 sales. She won ITSMA's Marketing Excellence Award and Sirius Decisions™ 2013 ROI Award and was named one of the top 30 women in Martech by Heinz Marketing. She presented at the 2015 MarTech Summit in San Francisco, has guest taught university Marketing classes and has given various Marketing leadership seminars for ANA and other groups in addition to writing blogs on Marketing Technology, and women in leadership in the 3D printing industry.